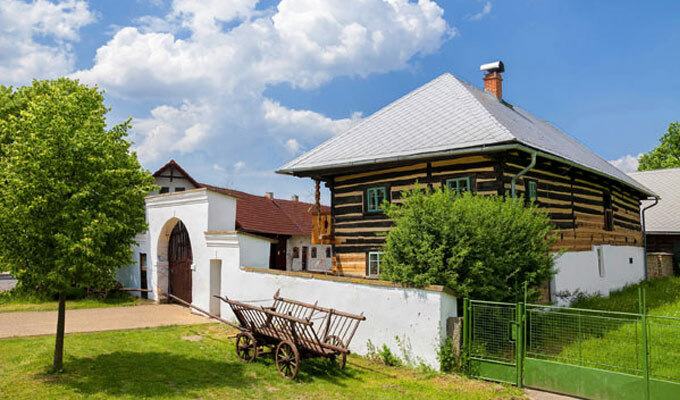 Centre for folk traditions – Šrámek's farm in Piletice is a historical monument with valuable wooden buildings. The site consists of numerous buildings following popular architecture with a unique two-storey bordered residential house with remarkable porch dating back to 1802. The barn was built in 1814. Main entrance to the farm is through a stone-walled tri-axe gate built in 1805 - 1814. The farm is an ideal place for folklore celebrations, exhibitions, trade fairs of popular products and trades, folk festivals, but also for social events with folklore type accompanying program, wedding receptions, family celebrations or company parties. The farm also houses exhibition premises, a branch of the City library and rehearsal studio for folklore groups and Folk arts club.